It’s been a long time since I have been able to post! Been busy, busy, busy at the library. The library has been busy gearing up for our Summer Reading Program and I have been planning all our events. We have some really great programs planned for all our patrons for the months of May-August and I am very pleased with the themes we have chosen. One of the most exciting programs I have had was my May 4th Story Time! Since May 4th was “Star Wars Day,” I decided to show the younger generations some intergalactic fun. Our wonderful bookstore-next-door, The River Reader, donated an event kit for Darth Vader and Son by Jeffrey Brown and I pulled some of our juvenile Star Wars books for them to check out. How cute is little Luke? A few of them said they would and described the kind of spaceship they would want to live in. Then I showed them the book we were going to be reading and a few of them knew Darth Vader already. The book isn’t a typical “story time” book and I had to interact with the kids quite a bit to keep them focused. The illustrations are adorable though, so I had the kids sit really close so that the cute details didn’t go unnoticed. The kids seemed to really enjoy the book, even though it wasn’t as much fun for me to read as say, Those Darn Squirrels and the Cat Next Door, and they had a lot of Star Wars related questions after we were done. When I had answered all their questions, we headed to make our crafts. 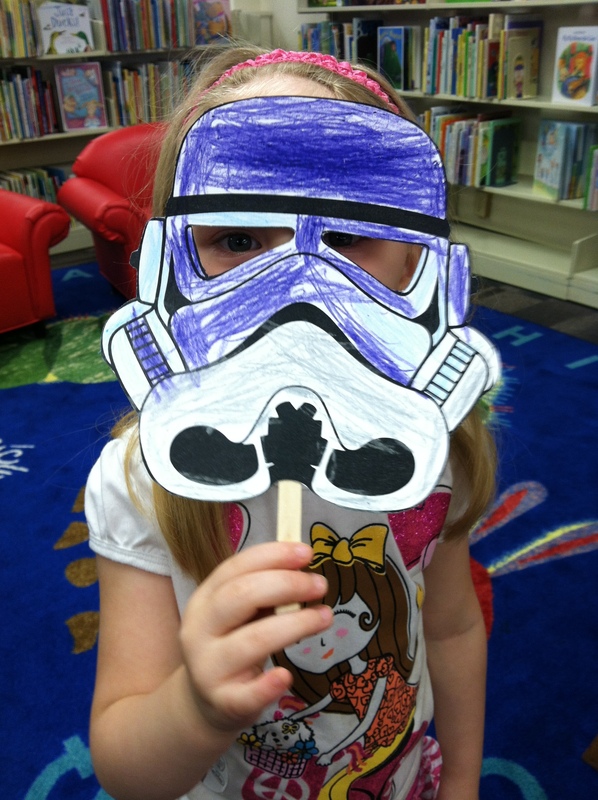 I had pre-cut out Stormtrooper masks for the kids and I let them color them however they wanted. I also sent the kids home with copies of activities from the event kit. 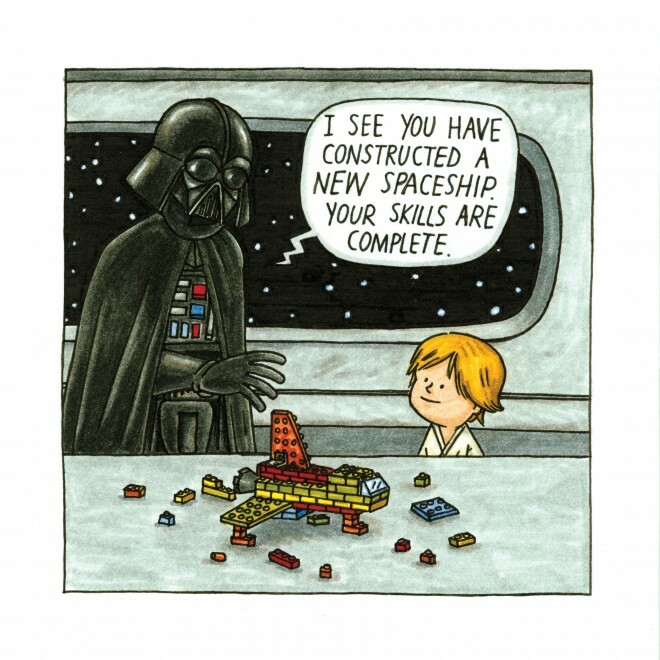 The full PDF kit can be downloaded at Activity Kit for Darth Vader and Son. 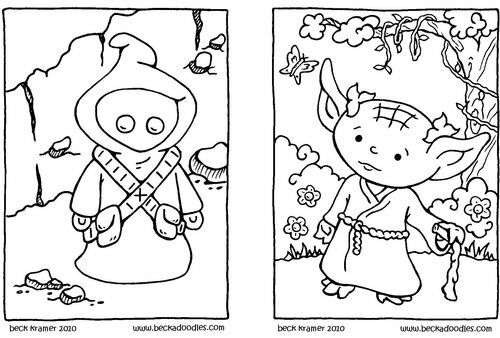 If you feel so inclined you can print off Yoda coloring pages for them to take home too. All in all, the kids really enjoyed the story time. 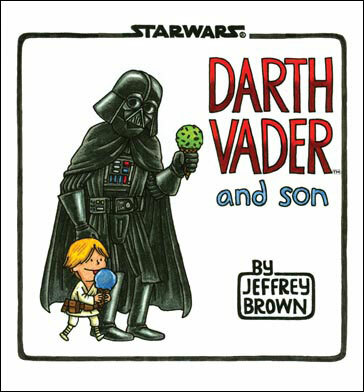 I would suggest trying to find another book to read a long with Darth Vader and Son if you want the kids to be a little more attentive. 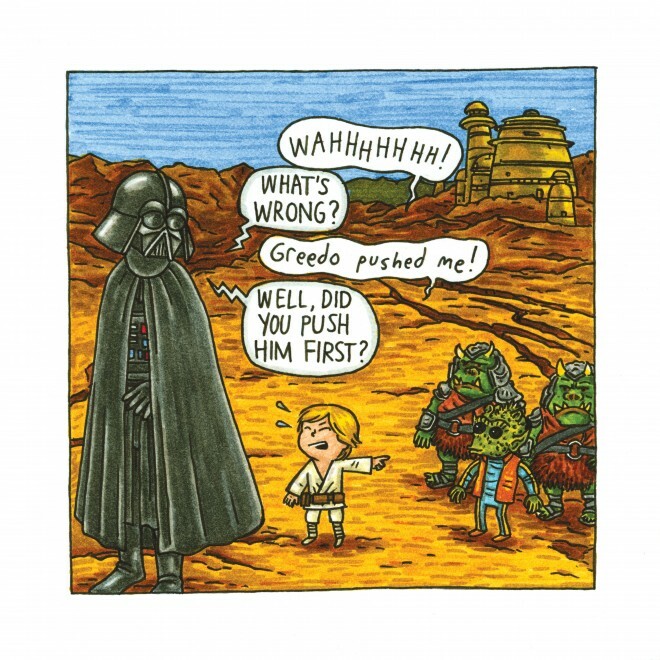 Some of the jokes are more for adults, but you don’t have to be a fan of Star Wars to enjoy this book. Follow @ChronicleBooks for more great reads!